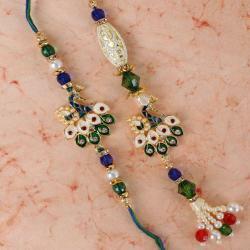 Raksha Bandhan is the best occasion to shower your love and blessing on your loved ones with a special gift. 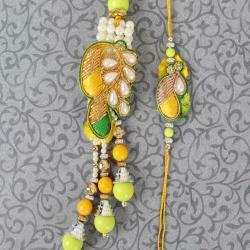 A beautiful mirror design Bhaiya Bhabhi Rakhi set will cuddle the occasion perfectly. 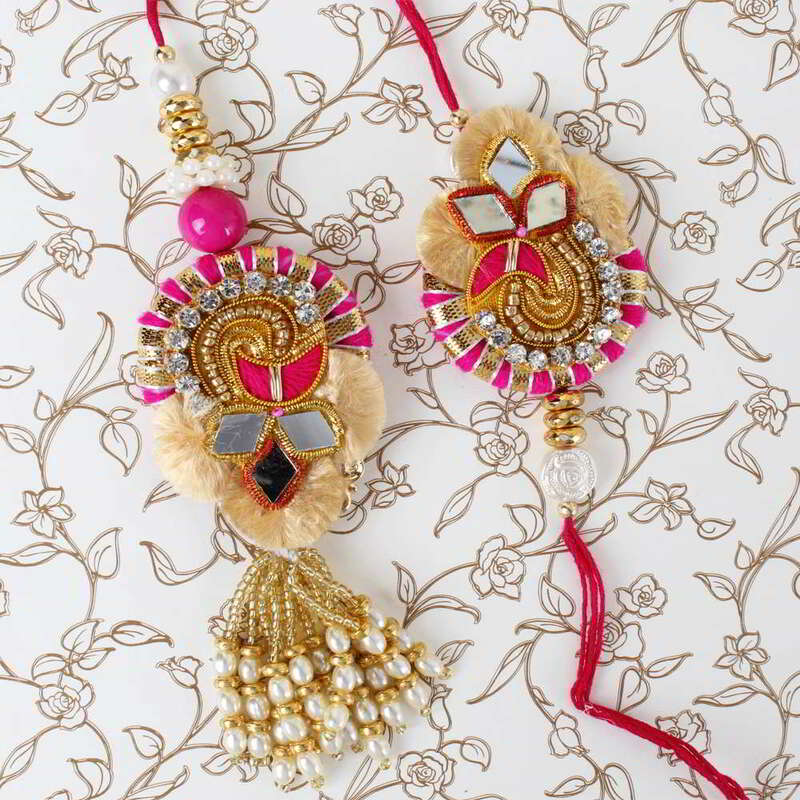 The pink and golden color combination of beads and lace looks amazing; with a pearl drop and mirror work on the dial gives it a sparkling glowing gaze. 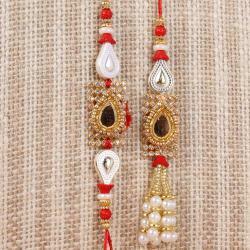 The combination of this beautiful Bhaiya Bhabhi Rakhi will deliver you love to loved one in a magical way. 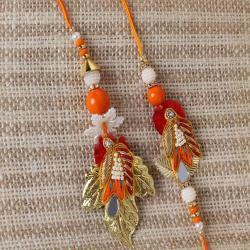 Send this special Rakhi and make this auspicious occasion treasured for life. 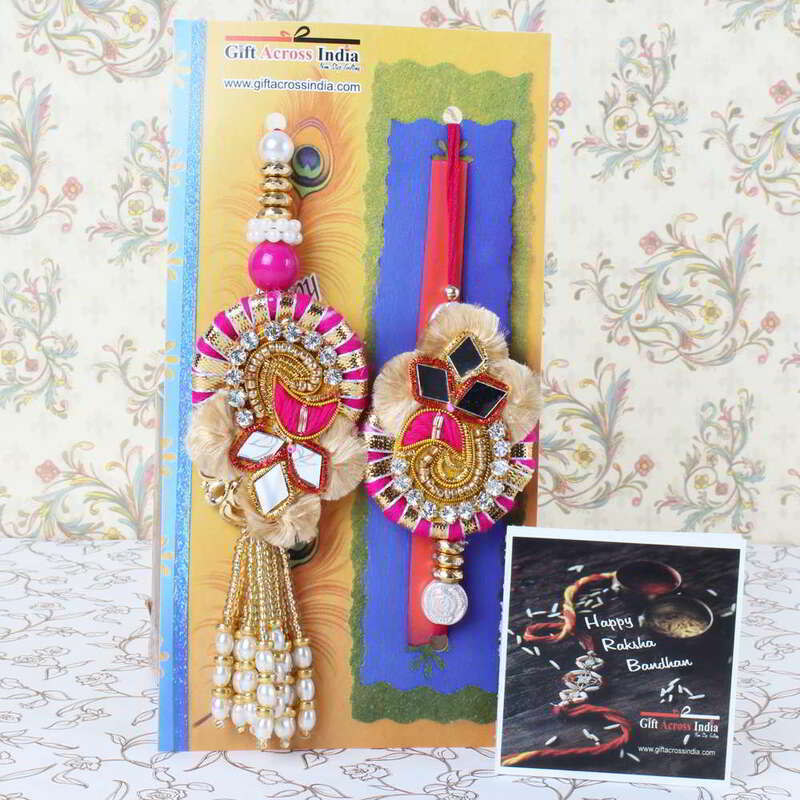 Product Consists: Gorgeous Pearl drop Mirror Design Lumba for Bhabhi and Mirror Design Rakhi for Bhai nicely tied on a designer Card.